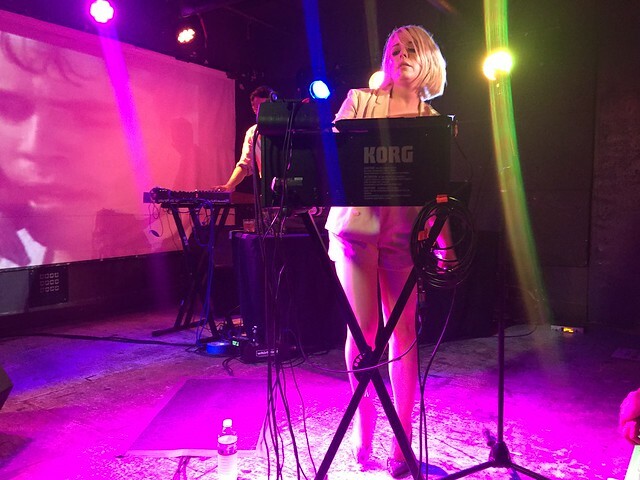 Posted on 07/28/2015 by Mickey McCarter	in Live Review and tagged electro house, England, Little Boots, nu disco, synthpop, U Street Music Hall. On her way into DC Saturday, Victoria Hesketh published a humorous tweet describing her guest list for her show at U Street Music Hall that night. Victoria is better known as Little Boots, of course, and we applauded her reference to famous DC punk bands. In her musical evolution over three albums to date, Little Boots has gone from a bit of new wave-influenced dance-pop, which took a page from punk inspirations back in the day, to full-blown nu disco. And that journey led her to previous collaborations with UK new wave artists like Gary Numan and Phil Oakey of The Human League. The synthpop diva has always leaned into house and disco, but she does so full tilt on her new album, Working Girl, which she brought on tour to DC Saturday night. 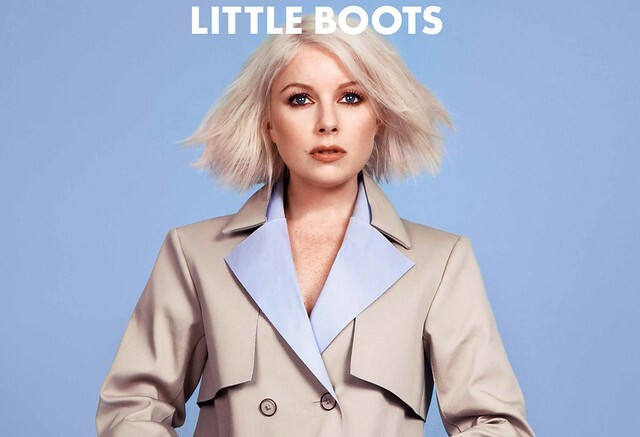 In line with the title of the album, Little Boots has adopted a strategic marketing approach that sees her rocking out in power suits and sporting rather professional if comfortable office wear. Early in her performance, Little Boots performed her latest single, “No Pressure,” which encapsulates all of the wonderful things about the new album and the new attitude. The song is about the possibility of a change and escaping your expectations, and its accompanying video cleverly stages the message in a workplace environment. In live performance, Little Boots simply sounds amazing and looks terrifically sharp! Our heroine, who hails from Blackpool, England, didn’t forget her previous two albums, much to the delight of the very full house at U Street Music Hall. Soon, Little Boots performed the upbeat “New in Town” from her debut album, Hands, while acknowledging she was indeed new in town with her first-ever DC concert. Next, she moves onto crowd-favorite “Motorway” from second album, Nocturnes. Later, Little Boots hit some of the best songs on her new album with “Business Pleasure” and “Taste It.” She makes the most of her time on stage with slick video presentations, sometimes hilariously borrowed from international commercials, and a small but capable band consisting of a fellow synth player and two backup singers, or perhaps “working girls,” clad in matching business casual outfits that echoed the theme of the show and the album. She revisits her first album for “Stuck on Repeat,” a track that slyly lent its name to her own label, On Repeat Records. Indeed, going into business for herself was another inspiration for the “Working Girl” album title and theme, as Little Boots has said in previous interviews. Little Boots kicks off an amazing encore with “Remedy,” also from first album Hands, and by this point the audience has gone wild. Dancing was indeed “the remedy” for the crowd, as the lyrics suggest. The room was singing and dancing along to her performance with an exuberance that will surely encourage her to return to DC the next time she’s in the United States? Sadly, Little Boots closed this leg of the Working Girl tour in DC, so she has no more US dates scheduled at the present. She’s off to Europe this fall, but perhaps she’ll return here soon. Meanwhile, Little Boots occasionally crosses the pond for performances in New York City and Los Angeles, whether she’s singing or doing a DJ gig. It’s surely a top objective of your strategic music listening plan to make an appointment for her next performance whenever she’s in town!